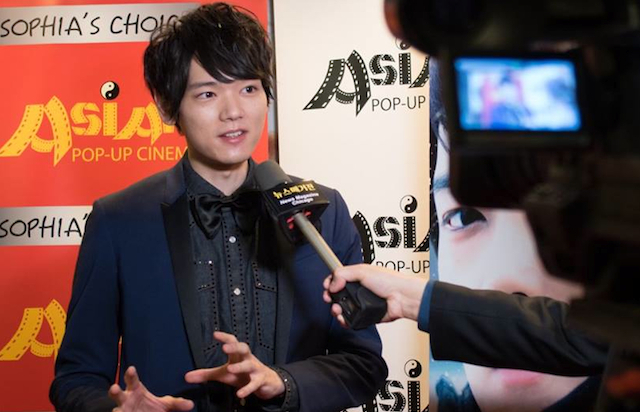 CHICAGO – Opening Night at Chicago’s Asian Pop-Up Cinema (APUC) Season Six was extra exciting on March 13th, 2018, as popular Japanese film star Yuki Furukawa came to the Windy City to represent his starring role in the magical romance “Colors of Wind.” The film, a co-production of South Korea and Japan, was directed by Kwak Jae-yong and co-starred Takemi Fujii. “Colors of Wind” is a highly romantic film about the “doppelganger,” the notion of twin souls in the world. In this case, it is Furukawa portraying Ryo, a heartbroken man who has lost his lover Yuri (Fujii). Before she left, she spoke of going to Hokkaido, a wintry town in Northern Japan. There Ryo finds Aya (also played by Fujii), who is an exact twin of his lost love, but she has lost a lover of her own. That would be Ryu (Furukawa, again, with a thin mustache), a famous magician that “died” in the midst of a spectacular trick. Ryu happens to be the doppelganger of Ryo, and the foursome must sort out their feelings and connections in a deeply personal way. The melodramatic film, which echoes the Douglas Sirk films of 1950s America, is mysterious, funny and… magical. Yuki Furukawa is an up-and-coming, highly popular movie/TV star in Japan. He was born in Toyko, but lived in Canada and studied for a time in the United States (he is fluently bi-lingual). After debuting in 2011 on Japanese TV and film, he broke through two years later in the “Mischievous Kiss” TV series as Naoke Irie. He has had a lot of “boyfriend” roles in movies, including “Poison Berry in My Brain,” which had previously played the Asian Pop-Up Cinema series. Currently, he can be seen in the Netflix Original series import “Erased,” as Satoru Fujinuma. 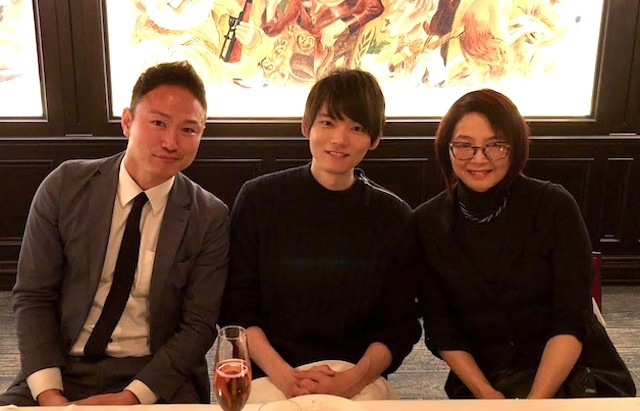 In the following Two-Part Podtalk, white-hot Japanese personality Yuki Furukawa kicks it off with a meditation on his role in “Colors of Wind,” and his relationship to his type of persona in Japanese TV and film. In Part Two, Producer Gen Terada of Asia Pictures Entertainment Inc. – the production arm of “Colors of Wind” – talks about the differences in film production between Japan, America and South Korea. Season Six of the Asian Pop-Up Cinema features a diverse line-up of films, with Japan, South Korea, Taiwan, China, India and Hong Kong all represented for the Spring of 2018, all with English subtitles (also Canada and France are listed producers). Screenings occur at the AMC River East 21 in downtown Chicago, with other various locations for special events and a number of free screenings. THE LAST VERSE Wednesday, March 28th, 2018, with director Tseng Ying-Ting and actor Fu Meng-po in person. Click here for details. A FISH OUT OF WATER Wednesday, April 4th, 2018, directed by Lai Kuo-an. Click here for details. THE GREAT BUDDHA Thursday, April 5th, 2018, with director Huang Hsin-yao in person. Click here for details. For a complete overview and schedule of the Asian Pop-Up Cinema series for Season Six, click here.